Something new is brewing at the park and surprisingly, it isn’t beer. It’s wine! 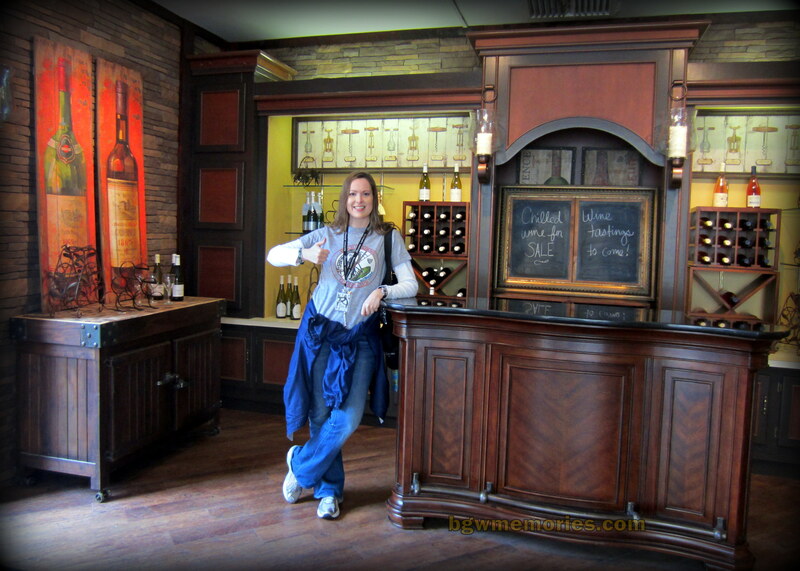 Busch Gardens Williamsburg will open their arms and wine bottles to welcome all to their very first Food & Wine Festival in 2013! Austrian, German, Canadian, French, Scandinavian, Grecian, Italian, Scottish, Spanish, Irish*, and Belgian* cuisines will be featured at various locations (kiosks) around the park. Suggested wine pairings to the various food samples will be offered at each location. (See below for more details on dates, times, and pricing.) There will also be a German Beer*, and Crepe & Coffee* kiosk as well. In addition to the festival, the park is offering quite an array of extra wine experiences. There will be wine tastings offered in France, Germany, and Italy, a “Wine on the Rhine” cruise, and also a very elite VIP tour for the serious wine and food aficionados out there. Most of these will require advance booking, so make sure to visit the Busch Gardens webpage or the Tour Center inside the park to see dates, times, prices, and availability of purchase. 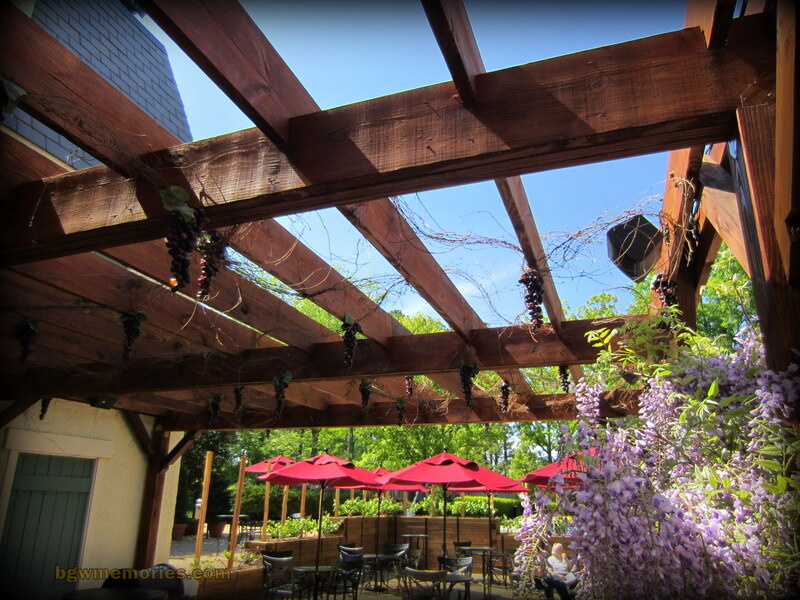 As a self-proclaimed wine connoisseur and foodie (A person who has an ardent or refined interest in food; a gourmet), I cannot wait to enjoy all the park has to offer this year in wine, food, and fun! 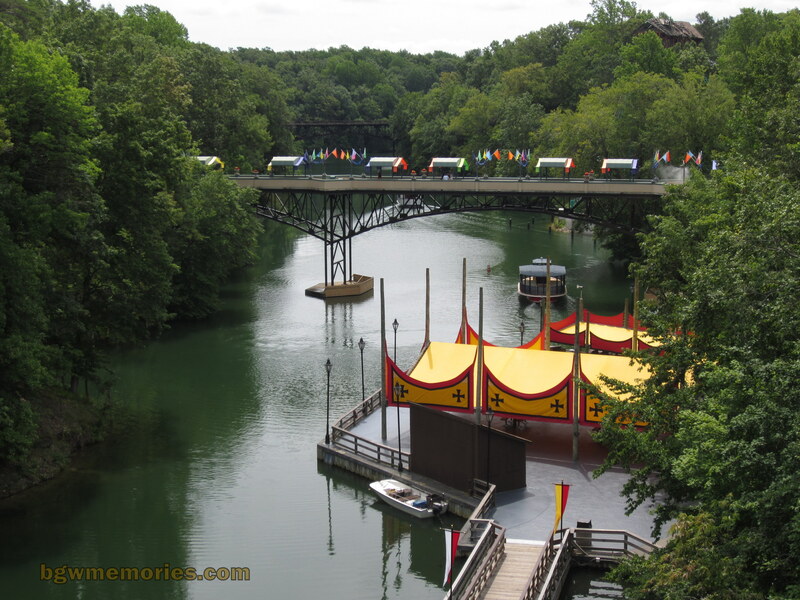 Please note all information listed below was directly found on the Busch Gardens Williamsburg website as of May 15, 2013 and therefore, event details and pricing may be subject to change. It’s a merry Merlot mess at Il Teatro di San Marco, where our all-new interactive grape-stomping show is a fantastically fun spin on a classic Italian tradition. Bring your friends and family and watch as our crazy cast smashes grapes. Think you’ve got what it takes to be a champion? Get ready, because you could be challenged to a stomp-off. Live cooking demonstrations with Chef Virginia Willis throughout the day at Il Teatro di San Marco on May 31 – June 2 and June 15 -16. See venue or park map for show times. 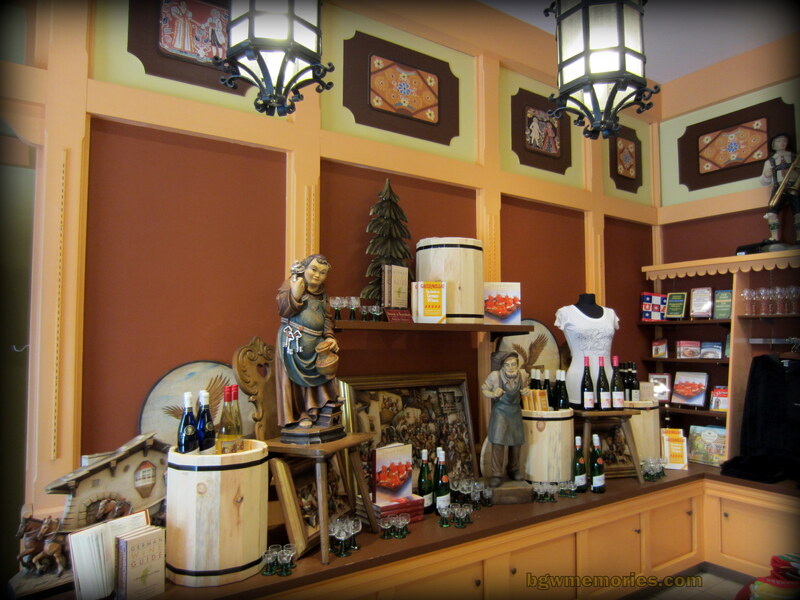 Situated right outside the main gate, our Food & Wine Festival Welcome Center is a one-stop information shop. Have a question about our brand new event? Ask one of our friendly hosts, or pick up a special event guide that will point you toward the closest culinary adventure. Browse culinary-themed merchandise, or register for unique experiences like wine tastings, behind-the-scenes VIP tours and celebrity chef encounters. Please note all information below was found on the Busch Gardens website as of May 15, 2013; event details and pricing may change. 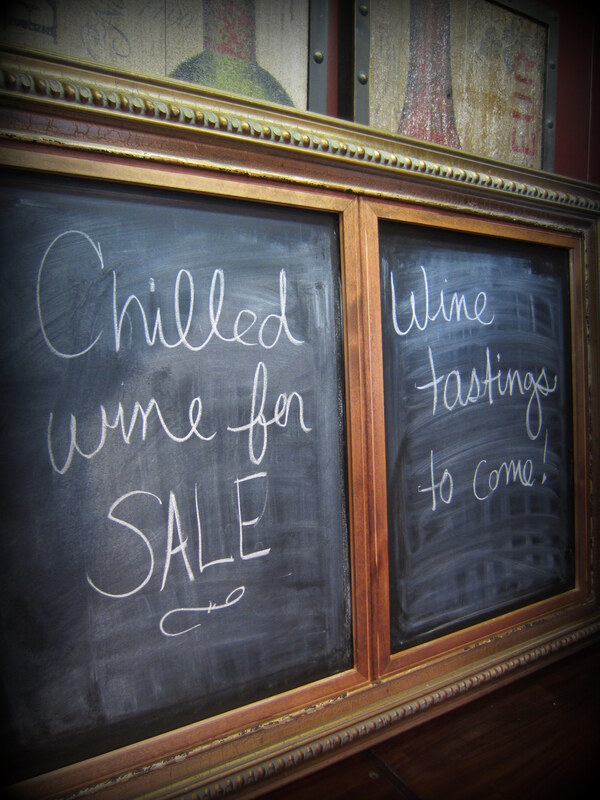 Enjoy a tasting of four French wines in our newly renovated wine bar located at La Belle in New France. Taste (4) different French wines. Each sample is (1) ounce of wine. Learn about the wine offerings of France. Recieve a complimentary souvenir wine glass. Tastings are approximately 20 minutes in length. Available daily from May 24th – October 27th, 2013. You must be 21 years of age to purchase and consume alcohol. Positive proof of age is required. General admission to the park and parking are not included and are required. Please arrive 15 minutes in advance to confirm your reservation. Pass members receive a special rate by logging into the pass member area of the website. Cancellations: Dining reservations must be cancelled or rebooked a minimum of one day prior to the scheduled dine or total payment will be forfeited. The Food & Wine Tour offers a sampling of foods and wines from around the world. This experience will excite your palate for sure! Each tour will be enlightened by its own personal guide. Learn about food and wine pairings from various cultures. Experience the flavors of 6 food menu items and a choice of 3 beverages. Tour is approximately 3 hours in length. Available every Friday, Saturday and Sunday from May 31 to June 23. Cancellations: Tour reservations must be cancelled or rebooked a minimum of one day prior to the scheduled tour or total payment will be forfeited. Wine choices for guests ages 21 years old include Cabernet Sauvignon, Merlot, Moscato, Chardonnay and White Zinfandel. Beverage choices for guests under 21 years old include water, soda or a juice pouch. Check in at the Rhine River Boat Docks 15 minutes prior to your selected cruise time. The boat will leave the docks promptly at the designated cruise time. The cruise is approximately 25-30 minutes in length. The Rhine River Boat Docks are at the bottom of a hill and a steep set of steps. The area is not wheelchair accessible. Cancellations: Reservations must be cancelled or rebooked a minimum of one day prior to the scheduled cruise or total payment will be forfeited. Park admission and parking are not included and are required. Pass Members receive a special rate by logging in to the Pass Member area of Busch Gardens’ website. 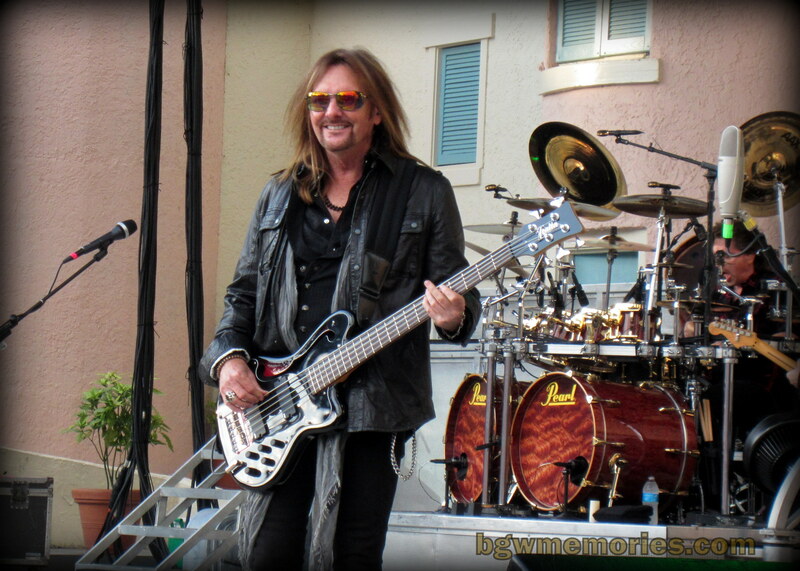 Busch Gardens Live concert series Sailed Away with a Rocking Start! 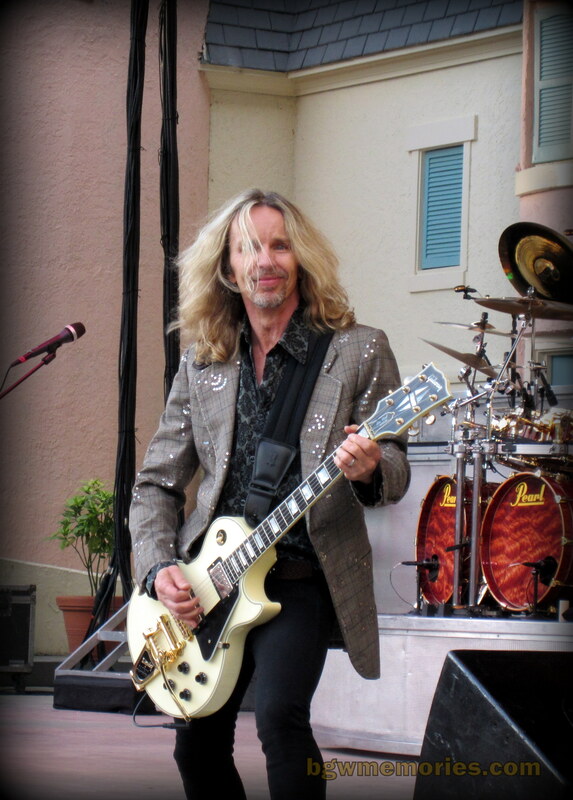 Upon hearing that the legendary progressive 70s rock band Styx would be the opening concert series at Busch Gardens this year, I couldn’t have been happier. I grew up as a roller-skating Rink Rat kid and therefore, the music of Styx was engrained in my head at an early age. Their music is a part of who I am and my journey in life. What a joy to finally hear them play live and at Busch Gardens Williamsburg no less! Woot~ mega Score! The weather couldn’t have been more perfect. Puffy white clouds sailed away in blue sky above the venue and the quiet breeze kept the temperature just right to rock the night away. I decided to upgrade and pay a bit more for the reserved seats for me and my husband. This also included my dinner for the evening and made for an excellent date night. 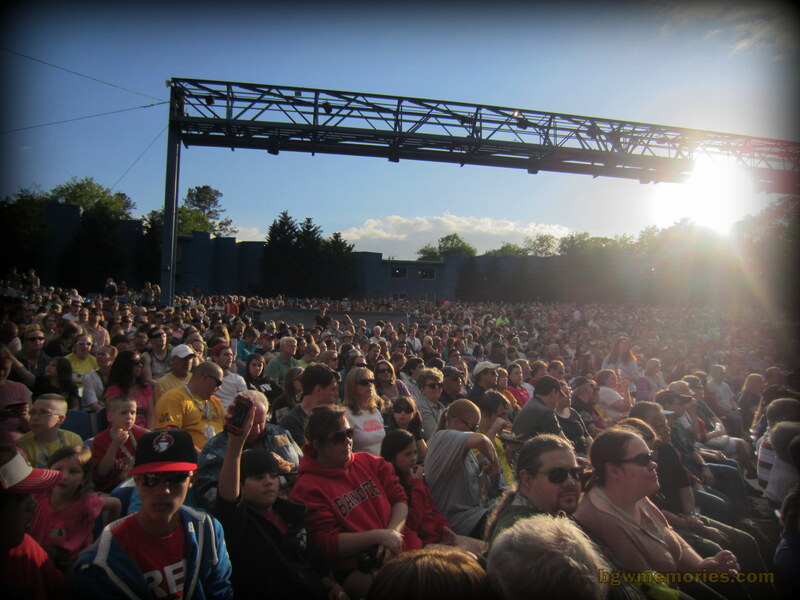 The seats we found were a few rows from the front-right and without any obstructed view. Pretty soon the Royal Palace Theater was full of guests and the energy started to grow while up tempo 80s music got the crowd moving. When the band came out, I was impressed. Being that most of the 80s bands are returning to the touring circuit, I’ve seen many famous groups return to the stage. Some bands hold up well and they look and sound amazing. Others; well… so the story goes. Styx was a band that fell in the former category. 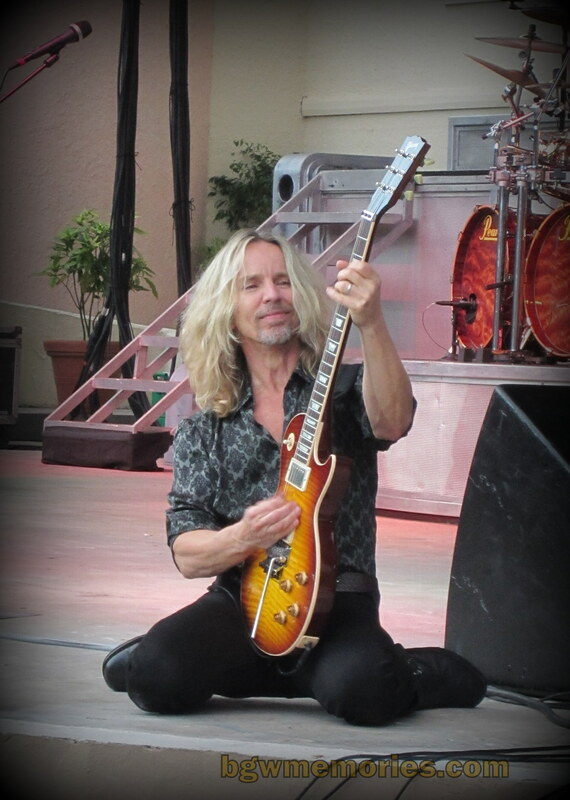 Tommy Shaw, guitarist-singer-songwriter for Styx, looked better than he did in the 70s. I have no idea what diet and exercise regiment the guy is on, but sign me up! Vocals for the group sounded just as I remembered and it was if I was transported back in time. 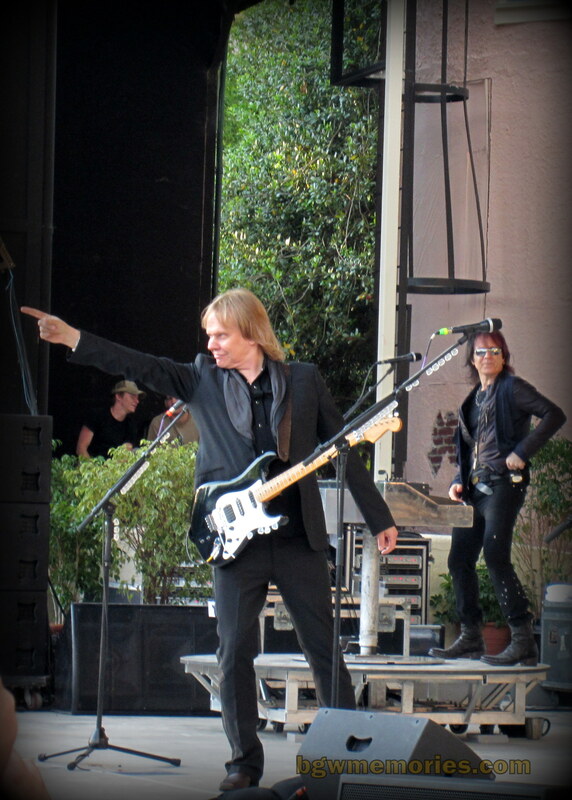 Classic; timeless and influential to modern music; Styx really did their music justice that night. Their setlist had a great balance of their Progressive Rock history with hits such as: Lady, Come Sail Away, Too Much Time on my Hands, and Renegade. I stood and danced the night away! 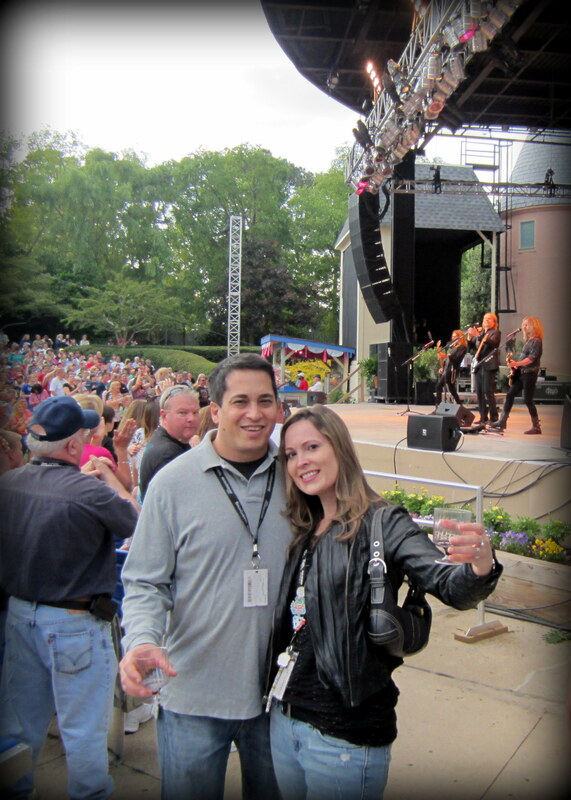 Even with the obvious omission of Mr. Roboto, my husband and I had a blast! The fact that such an event was technically free to park guests still astounds me. Busch Gardens should be proud to have added such a classic rock band to their roster and I am super excited to see who else will grace the Royal Palace stage in the years ahead! 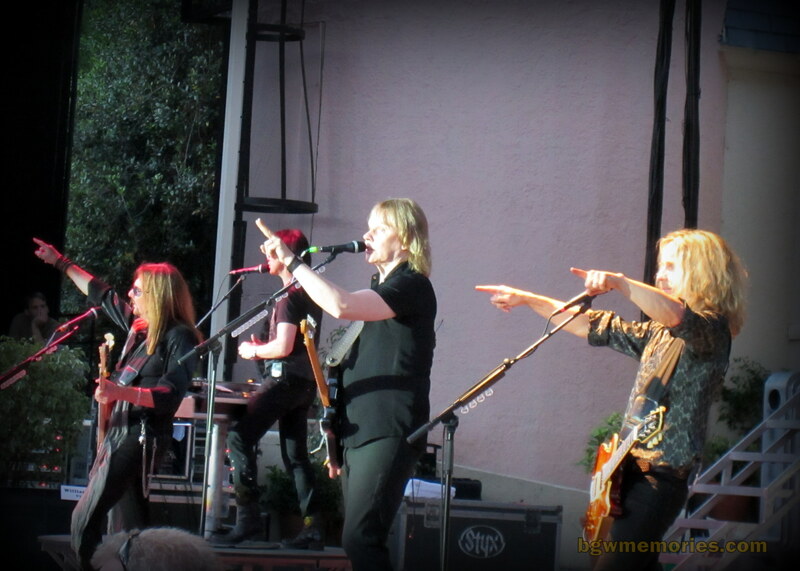 Now I can hold my head high and proudly say I saw Styx perform live in concert! Domo Arigato Busch Gardens. Domo.